What Is a Podiatrist? 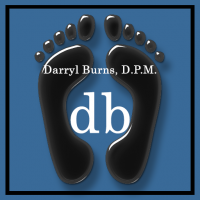 - Podiatrist Monterey CA Dr. Darryl Burns, D.P.M. A podiatrist, or foot doctor, is a podiatric physician. He/she is devoted to the study and medical treatment of the foot and ankle. The term originated in North America and is now the accepted term in the English-speaking world for podiatric medical school graduates. They are called Doctors of Podiatric Medicine (D.P.M.). In other countries, the title “Chiropodist” is used. However, it should be noted that “podiatrist” and “chiropodist” are terms that are definitely not interchangeable and synonymous in countries like United Kingdom, New Zealand and certain provinces in Canada. In these countries, a chiropodist is a technician who can treat foot, ankle and lower extremity orders using invasive procedures. Podiatric medicine and surgery is practiced by a licensed Doctor of Podiatric Medicine (D.P.M.). 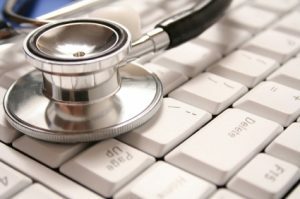 His/her education consists of a doctoral level program for four years and is followed by two to three years residency. This training follows their college degree just like regular Medical School. The training that the student undergoes in his/her first four years of podiatric medical school is similar to the ones that traditional, allopathic (MD) and osteophatic (DO) physicans receive but the emphasis is more on the foot, ankle and lower extremity problems. The degree requires a minimum undergraduate component of 90 semester hours and/or a bachelor’s degree. Residency follows the four-year podiatric medical school, which is the hands-on post-doctoral training. The previous titles used for the Doctor of Podiatric Medicine (D.P.M.) degree were Doctor of Surgical Chiropody (D.S.C.) and Doctor of Podiatry (Pod.D.) Although the D.P.M. is the modern-day equivalent of the previous degrees, it encompasses a broader spectrum of medical practice for podiatric physicians, who can now perform medical and surgical procedures in all 50 states, though the specific scope of practice does vary. Podiatrists consult with the patient and on how to prevent foot problems and care for their feet. They diagnose and perform surgeries to correct or remedy and treat conditions or disorders of the foot and ankle (see list). They also prescribe therapies for the patient and prescribe or fit orthotics that correct walking patterns.